Thanks Mom for sending these reading notes. It’s a pretty grim picture. 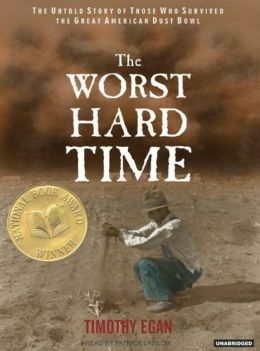 Worst Hard Times is the dust bowl story, and follows people’s stories in several of the farms & towns of the worst areas. Egan writes for the NY Times, and recently wrote a scathing attack on the idea that the landslide in Oso was one of those “acts of God” that are so unfortunate but . . . . (Actually there was lots of warning by geologists, an earlier landslide in the last decade, with the logging of the hilltop as the coup de gras). The Dust Bowl is called the worst man-made disaster of the U.S., and easily understood in hindsight as a tragic result of lack of understanding of natural forces, as well as grasping for even more wealth when the land was giving its riches reliably during the wet years of the Twenties. He gives more details than can be born, almost: the dust swirling, no plates set out until time to use them, wet bedsheets hung up over windows every night, people dying of “dust pneumonia.” The old cattlemen said it was a crime to uproot the prairie grass, and that the land would be ruined – more importantly, to them, even than the loss of the land for cows. This area, which was called the Great American Desert, was given to the Apaches. 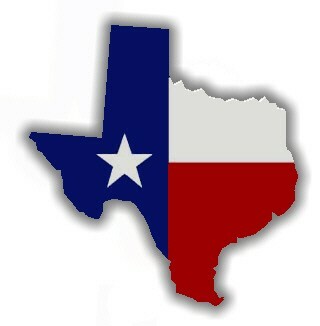 When the government decided to give the land to settlers, Texas, especially, made every effort to eradicate the buffalo in order to drive off the Indians. So, a good story. The reader, not so much. (He’s “an accomplished actor, director and combat choreographer” according to the audio blurb. Huh?) He put a little too much hick into the voices when he quotes them, and, like some readers I’ve noticed, makes women’s voices especially irritating, with a too-high intonation. The most irritating, though – a subjective reaction, I know – is his pronunciation of Boise City as /boyZAY/. Really? Oh, Mom, I do so get it! The pronunciations from my recent read of Bryson’s A Walk in the Woods are fresh in my mind – unfortunately the only one I can cite specifically is urinal as “your-RYE-null” (very strange!) but there were others, equally odd & distracting. I think I’m more upset by the overly hick accents and the obnoxious women’s voices, though. Does Egan overtly make the comparison between our hubris & lack of foresight with the Dust Bowl, and same with the recent mudslide (etc. etc.)? Or leave us to figure it out? If the latter, readers like yourself make the connection without difficulty; but I always appreciate the former. If you have a statement, go ahead and make it, please! Stand up for what you think. I would say yes. I’m not through yet, but he lets a lot of characters say this. He also writes of the preachers who said that people are being punished for some sin, or that prayer & positive thinking will make it all better. The sodbusters are all from the devil, according to the cattlemen. The saddest part of that is not that they are right, but that the dust dunes and drought ends up killing even the grass that remains. There’s a scientist who explains it perfectly, and after Roosevelt’s election, he gets put in some government function to help solve the problems. There’s a town where the people agree to follow this guy’s recommendations for saving the land. Don’t remember the details, but hope to see this followed up in a later chapter. There’s a newspaper owner (Dalhart or Boise City) who stops reporting all the bad stuff. Then he decides the people just need to embrace the situation. Look at the black clouds, the wind, the dead earth, and see the majesty of nature. Nuts! He doesn’t mention embracing all the death. So I think Egan will have a strong conclusion to this effect. The roaring boom of prosperity and the miracle of turning land into wheat (=$$) is a big theme. Plain people learning that they could have become rich if they planted every acre. They couldn’t tear up the prairie fast enough. We even have what he calls suitcase farmers, entrepreneurs who come to town and pay someone to rent their land and plant wheat. They just wait around for the harvest and the profits. After the bust and the drop in wheat prices, off they go, with no more interest in the land they have mined. How much hubris can you stand? This does sound like a good story – though decidedly grim, as you say. I’d like to put it on the (long) list… Thanks for sharing!